This report ranks the Cantabrian companies that have listed the most direct, not subcontracted, workers in the Commercial Register. All companies in Spain must annually report their figures; therefore, the Commercial Register is considered the most trustworthy source in elaborating these kinds of reports. Keep in mind that many well-known names are dispersed among large business groups having different legal entities, thus making it difficult to ascertain the total number of corporate staff. In addition, thanks to this report, you can check out the existing correlation between the number of a company's employees and its business volume. 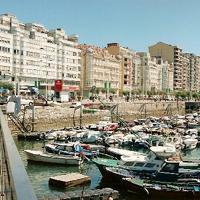 Who do you think is the best candidate for mayor of Santander?